Starring: Zachary Levi, Mark Strong, Asher Angel, Jack Dylan Grazer, Djimon Hounsou, Marta Milans and Cooper Andrews. Shazam! continues in a similar vein to James Wan’s hugely successful and enormously enjoyable Aquaman. It’s fun, family friendly and full of heart, signalling a change in direction for DC and Warner Bros. comic book films. 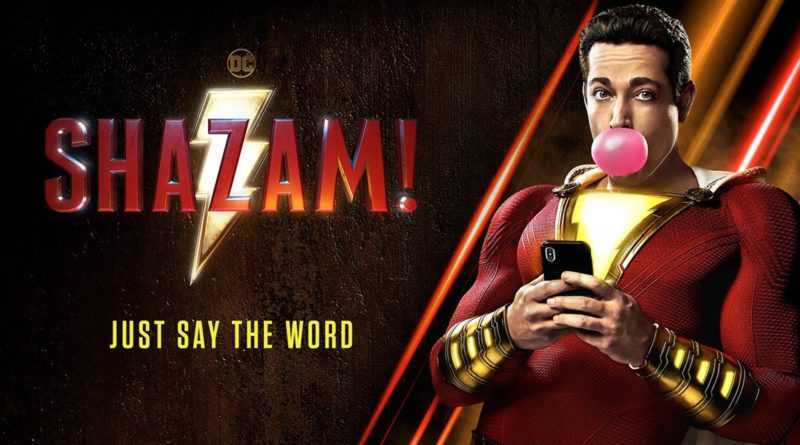 The first trailer featuring the lesser known superhero from the mainstream DC roster dropped back in July 2018 and immediately drew us in with the mix of humour and light-heartedness, giving a feeling of Big meets Superman. I’m so pleased to say that I had such a good time with this film, it’s just so much fun and packed full of heart and soul! Directed by Annabelle: Creation’s David F. Sandberg, Shazam! centres on teenager Billy Batson (Asher Angel), a kid who’s been searching for a sense of belonging and acceptance whilst bouncing around foster homes. On his way home from school, Billy is transported to a wizard’s realm who bestows upon him the gifts of ancient gods to help safeguard the planet from magical incursions. With the help of fellow foster kid Freddy (Jack Dylan Grazer), Billy discovers and comes to terms with his new abilities as he learns to harness his transformative powers, whilst also balancing school and his new found popularity as Captain Sparkle Fingers! At it’s core, Shazam! deftly balances themes of family and friendships whilst also having a whole lot of fun! It is one of the most human and down to Earth origin tales, filled with touching coming of age moments reminiscent of Big and The Goonies. There’s heaps of 80’s nostalgia and the film points out how self aware it is with Freddy’s love of DC films and characters, particularly Batman and Superman. Speaking of Superman, the iconic 70s film seems to be a big inspiration for the story, as Sandberg favours the old school morals of superheroes teaching and inspiring the younger generation. There’s also a particularly great moment which is reminiscent of Rocky, which sees Billy and Freddy testing out his new powers in a superhero training montage! Zachary Levi is absolutely perfect as Shazam! – his performance is exactly what you want from the character. He brings a charming child-like wonder to the role which fits his mannerisms and comedic timing perfectly. He has developed such a wonderful connection with co-star Jack Dylan Grazer which came across as completely believable and honest. Speaking of Grazer, the young IT star almost stole the show with his hilarous wit and earnest portrayal of Freddy, who had an amazing bond with co-star Asher Angel. I also absolutely loved the dynamics and relationship of the central Vasquez family, particularly Faithe Herman’s brilliant Darla. Each had a very unique character and personality which added a whole heap of cuteness and heart to the film. It was great to see such a family centric focus in a superhero outing! Mark Strong’s Dr. Sivana was also a very intriguing villain who’s backstory Sandberg really delved into, giving the character a lot more depth than previous villains, which made his motivations all the more understandable. Strong played the role perfectly and was a great counterbalance to the light heartedness and childlike quality of Levi. Visuals wise, the fight scenes and super powers were really well done, and I particularly enjoyed the more magical aspects of the film featuring the Wizard. 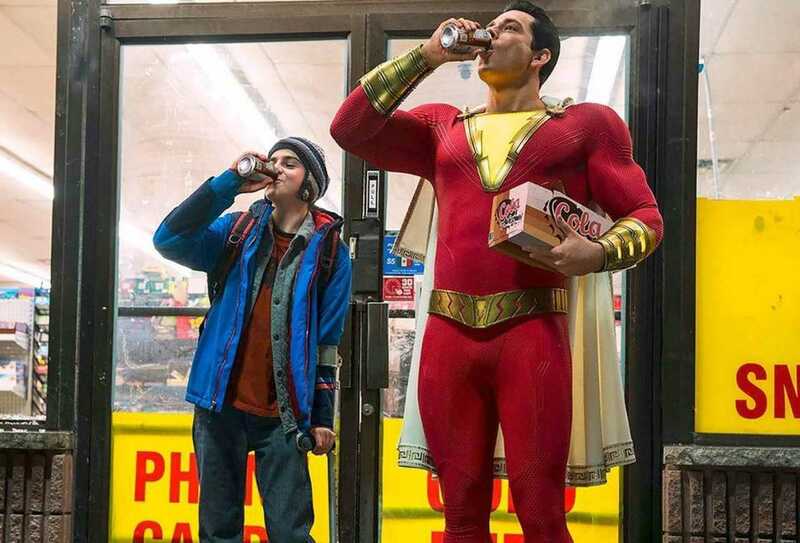 Hats off to the costume department too, as Levi’s Shazam costume was absolutely fantastic, much like the amazing suits for Superman and Aquaman. The intricate detail that went into the suit was just phenomenal, and it featured practical effects too with the lightning bolt. I really loved the gauntlets, belt, boots and cape which gave a nice extra touch! The film is also jam packed full of DC easter eggs which adds a fun layer to the outing. Make sure you stick around for the two post-credit scenes too! Overall, it’s great to see DC get back to basics with Shazam!. It’s a genuinely fun family film filled with bags of heart and plenty of laughs! There are many scenes that we feel will become iconic in years to come, much like the classic Superman. We fully expect this film to inspire the younger generation and can’t wait to see where DC takes us with their next offering! ← New ‘Stranger Things’ trailer and first look images revealed!